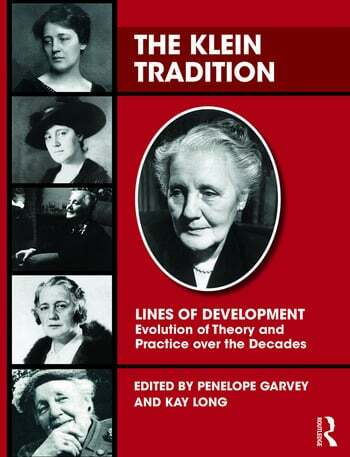 Melanie Klein's extension of Freud's ideas - in particular her explorations into the world of the infant and her emphasis on the complex interactions between the infant's internal world of powerful primitive emotions of love and hate and the mothering that the infant receives - were greeted with skepticism but are now widely accepted as providing an invaluable way of understanding human cognitive and emotional development. Klein's insights shed light on persecuted states, guilt, the drive to create and to repair; they also provide the clinician with a theory of technique. Klein's work has inspired the work of psychoanalysts around the world. Her concept of projective identification with its implications for the understanding of countertransference made a significant impact on her followers and on psychoanalysts in other countries and from other schools of thought. Further exploration of these ideas has led to greater understanding of how change occurs in psychoanalysis and has inspired a large literature with a particular focus on technique. Brearley, M. The sense of self: generosity or narrow mindedness? Clarkson, L. Autistic Features Encountered in the World of "As If"
Alvarez, A. Paranoid/schizoid position or paranoid and schizoid positions? Penelope Garvey is a training analyst of the British Psychoanalytical Society. Her first training was as a clinical psychologist and she has worked as a consultant psychotherapist in the NHS. Kay Long, PhD, is a psychoanalyst in private practice in New Haven, CT. She is an Associate Clinical Professor in the Psychiatry Department of the Yale School of Medicine and a Training and Supervising Analyst at the Western New England Institute for Psychoanalysis.